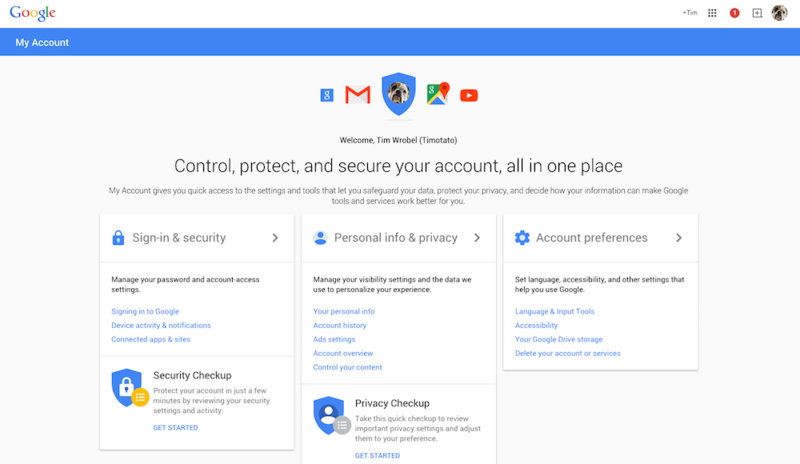 To give Google users one simple place to manage everything on their account, the company has introduced the My Account page. Here, users can tweak settings from device activity and notifications, to account history and ad settings. In addition to all of that, Google even offers a quick Privacy Checkup and Security Checkup, making sure all of you folks are browsing safe out there. If you want to go over all of your settings, check out My Account.